The Chicago Bears lost one of the NFL’s best defensive coordinators when Vic Fangio signed to become the next head coach of the Denver Broncos. They replaced him with former Indianapolis Colts head coach Chuck Pagano, who has an incredibly important job ahead of him in 2019. The big picture: Chicago features an incredible roster of elite defensive talent that, under Fangio, spearheaded an improbable playoff run in 2018. The numbers: Taking a look at how Chicago’s defense ranked league-wide last year, it’s clear that scheme and talent were a perfect match with Fangio leading the charge. Some argued that last year’s Bears defense was worthy of being ranked among the best of all-time. Clearly, it was dominant. Can Pagano keep the good vibes going? The answer to this question will have a lot to do with whether the Bears take another step forward in head coach Matt Nagy’s second year, or if they regress. Experience is a huge question mark. 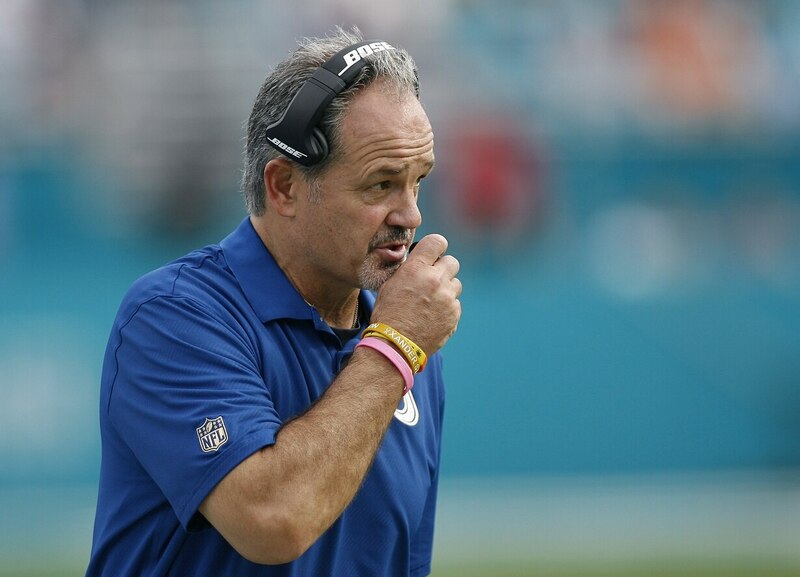 Pagano was only a defensive coordinator at the NFL level for one year (2011 Baltimore Ravens) before he got the head-coaching gig in Indianapolis. Pagano specialized in coaching secondaries before that season, and his prowess in that area helped Baltimore transform into a powerhouse against both the run (No. 2 in the league) and pass (No. 4 in the league). Unfortunately, that success did not come with him to Indianapolis. The Colts never ranked higher than 11th in total defense, which they accomplished in 2014. The remaining five seasons during his tenure they were ranked in the bottom half of the league. Given that Chicago’s offense is still a work in progress and features a still-raw, young quarterback in Mitch Trubisky, it’s supremely important that the Bears continue to dominate opposing offenses with their defense. The bottom line: Whether Pagano has the ability to transform the talent he has into a cohesive, complementary unit remains to be seen. Was his one amazing season in Baltimore an outlier? Or, was his relationship with Colts general manager Ryan Grigson just so toxic that he never was able to find that same level of success? Pagano has no excuses this year. With the likes of Khalil Mack, Akiem Hicks, Edddie Goldman, Roquan Smith, Kyle Fuller, Eddie Jackson and Co. at his disposal, it’s up to the coach to pick up where Fangio left off. If Pagano can do that, then the Bears will be legitimate Super Bowl contenders. If he fails, then it’s back to the drawing board.